Harajuku Shopping Guide – 1. Takeshita Dori Area | I Get Dressed In The Morning! ← What I’m Going To Blog About..
Pingback: Harajuku Shopping Guide – 2. Beyond The Main Street « I Get Dressed In The Morning! 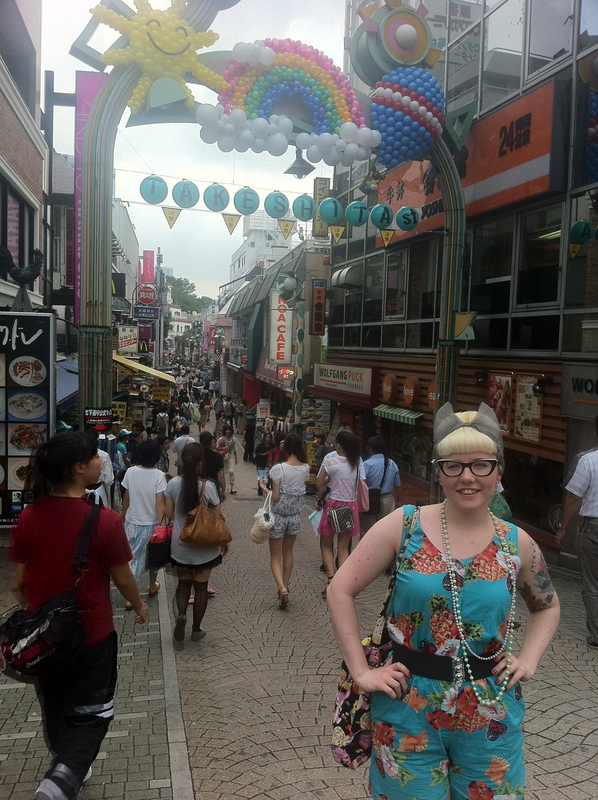 I wish I’d seen your blog before we went to Harajuku! But we will return soon, so your advice is much appreciated. Do you know if it’s okay to try on clothes, generally? I noticed in Bodyline a sign saying you couldn’t try on or return clothing (in which case, I will order using their website instead of fighting the hordes again! ), and wondered if that was normal. I don’t think it is normal, I remember when I went to body line there was an area which looked like there used to be fitting rooms in it, maybe it’s so busy in there that they find it too hard to keep track on people trying things on! I’m so pleased you like this post! I really should have written the next part while it was fresh in my mind though as now my memory of the area is a little hazy!